Depicting situations that can appear overly familiar, Rødland’s photographs reveal an underlying lyricism and poetic language that result from the artist’s reconfiguration of the diverse material and media that surround us. At first glance, Rødland’s work often inhabits the aesthetic space of commercial photography due to a formal clarity and, at times, fetishistic approach to subjects, objects and materials. Recurring tropes within his images include produce such as oranges, bananas, cakes and octopus tentacles, and close-ups of body parts and related accessories. Knees, feet and torsos partner with pads, socks and tattoos, while viscous substances, such as honey and paint, coat, ooze and drip over his subjects. 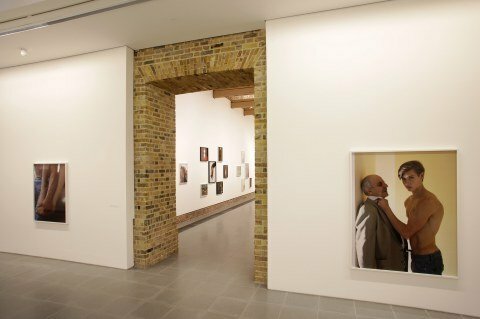 The Touch That Made You at the Serpentine Sackler Gallery – Rødland’s first exhibition in the UK – brings together a diverse selection of works from the past two decades, which demonstrate the breadth of subjects captured and scenarios created by the artist. It also includes Rødland’s film, 132 BPM (2005), animating subjects with the continuous, metronomic beats of dance music. 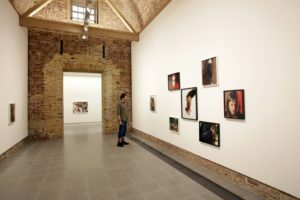 The exhibition title refers to the physical and immaterial aspects of his images, from the rays of light and liquid touches that gradually reveal an image in the darkroom to the framing and staging enacted through the lens.